As you can see, I opted against a bow or a tail: in the end I felt the stitch detail should stand on its own. For a bonus, that's actually the B side. 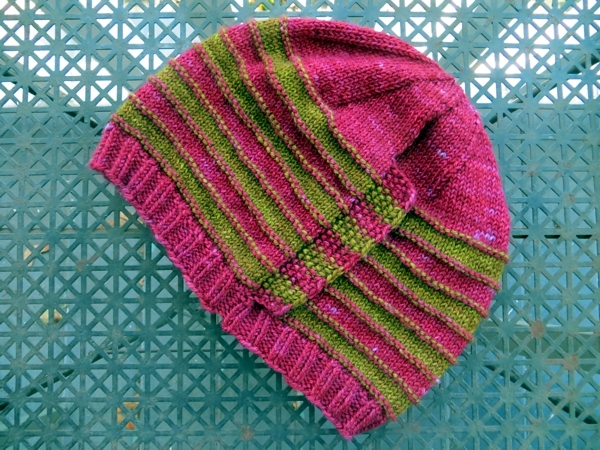 It's a completely reversible hat and when you pull it inside out: mwah! love it. I think this is going to be my favourite everyday hats this fall, except for one thing. I still need to find Perfect Buttons for this hat, not to mention yet another name, but I can tell already that I am mad about it. 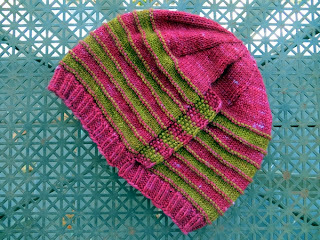 It's very snuggly, and very elegant, and did I mention there is silk and cashmere in this very fine yarn from Madelintosh? Plus the colours. So much love. 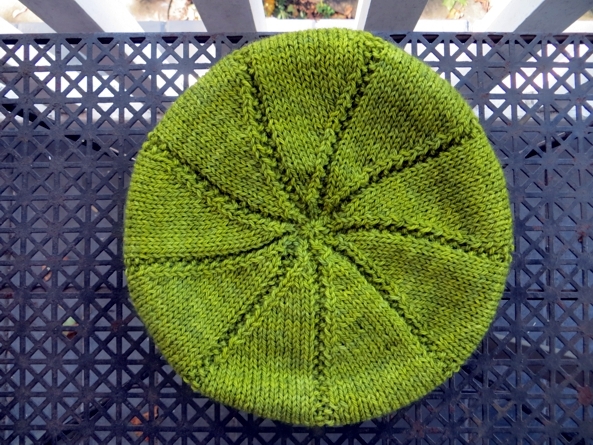 Owing to the severe button shortage here (I kid, mostly) the Madelintosh hat pattern will probably be last to hit Hugs, but I expect the green one will make its appearance early next week. Hope you like them as much as I do! They are so pretty! Love the colors, the details--congrats! Oh I absolutely love the green hat!! Of course the stripe is beautiful also. Wow, now can't wait till they are available! !